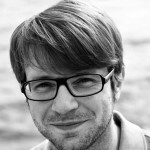 Claus Hesseling is a Hamburg-based journalist and media coach with a Masters degree in Political Science and History. He started working as an online journalist in 2001, and since 2008 has been a reporter and producer for Germany’s public TV and broadcasting network ARD. As a data journalist, he creates “data-driven” TV documentaries. 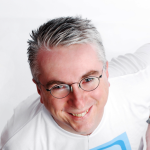 For more than 10 years now, he has worked as a media coach with clients from all over the globe. 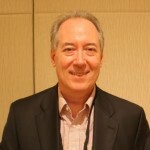 Dan Gillmor, an internationally recognized author and leader in new media and citizen-based journalism, is professor of practice in media literacy at the Arizona State University. Gillmor joined the San Jose Mercury News in 1994, writing a widely read column and blog that chronicled the dot-com revolution in Silicon Valley, and technology’s wider impact on policy and society. His blog is believed to have been the first by a journalist for a mainstream journalism organization. He is the author of “We the Media: Grassroots Journalism by the People, for the People,” and “Mediactive”, books on citizen journalism that are widely recognized as the first to explain how the collision of journalism and technology has democratized the creation of and access to media, and why it matters. He has been an early-stage investor in several new media startups including Silicon Valley-based Wikia Inc., founded by Wikipedia founder Jimmy Wales, and Seesmic, an online video company. He also co-founded and continues to advise the Knight-funded Citizen Media Law Project. 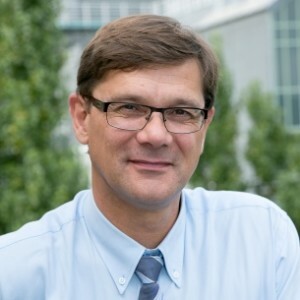 Joachim Vögele is a journalist by training and has worked as a journalism trainer and coach since 2003. 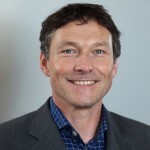 He is an expert in online learning and has developed e-learning and blended learning courses with the Furtwangen University of Applied Sciences, GIZ's International Institute for Journalism, Bertelsmann's Intajour and Deutsche Welle Akademie. Previously he was with the Internet division of the Stuttgarter Zeitung, holding the position of Deputy Director. Joachim holds an MA in Communications from Hildesheim University. He also holds the Certificate in Online Education and Training from the University of London. 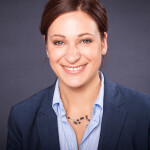 Lena Kloster, a program assistant at the Interlink Academy, holds a Master's degree in Intercultural Communication Studies from Viadrina, Sorbonne and Leuphana Universities. She began her career at the media consultancy MediaXchange in London in 2009. As a Fellow in the Leonardo da Vinci program in the Policy & Research department at Chwarae Teg, a Welsh NGO, she began to focus her work on international relations and policies within Europe. A stint at the Ministry of Foreign Affairs in Brussels strengthened her knowledge in the field of Development and Cooperation. In addition, Lena worked as a project coordinator for an international group in Paris as well as a youth trainer and tutor in Brittany, Lüneburg and Berlin. Manfred Redelfs, born 1961 in Germany, is the Head of the Research & Investigations Unit at Greenpeace Germany. A journalist by training, he worked for the news program at Norddeutscher Rundfunk in Hamburg before concentrating on investigations. He studied political science and journalism in Hamburg, Washington, Berkeley and Oxford. His PhD thesis is about Investigative Reporting in the United States. Besides his job with Greenpeace in Hamburg, Manfred works as research coach for several publishing houses and vocational training programs for journalists. Tamara L. Nehls serves as Interlink's program assistant and has been doing so at other institutions as well. Tamara is a student of English and German Language and Literature at the University of Hamburg. A Hamburg native, she has also lived in Northern Ireland and Chile, and she has travelled to various other countries, always keen on discovering new perspectives. 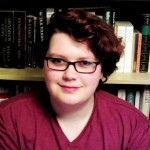 In her free time, she is a senior editor and contributor for the student magazine tbajournal.com, student representative, and aspiring polyglot. Werner Bogula started his online career in 1995. After working in the German founding team of AOL/Bertelsmann, he joined the new economy fray. From 1999 to 2002 he worked for freenet.de, helping to turn it into Germany's second largest online service as Head of Content and Editor-in-Chief. Between the years of 2003 and 2006, Bogula coached journalists in Berlin for the International Institute for Journalism (IIJ) and ran his first Marathon. In 2006, he founded his start-up jogmap, a sports community that was eventually taken over by the German media giant Holtzbrinck. From 2010 until this day, he has travelled the world, providing consultation to media companies and media schools in Asia, Africa and Europe. Werner is the Founding Director of Interlink, and also works as a media consultant and journalism trainer for various institutions in Germany and abroad. 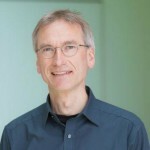 Werner has been active in international media development for more than twenty years. He has recently established several e-learning projects for Deutsche Welle Akademie, and from 2010 to 2014 was at the helm of Bertelsmann's innovative Intajour project. Earlier, he was the Editor-in Chief of the Educational Television and Radio Channel TIDE in Hamburg, and worked as a Senior Project Manager at the International Institute for Journalism (now part of GIZ) in Berlin. In the 1990s, Eggert worked for several years as a coach and consultant for the Namibian Broadcasting Corporation in Windhoek. Werner began his career as a journalist working for several media organizations in Germany.